A complaint may be made against an optometrist who did not obey state laws concerning optometry (look at this page for the definition of optometrist). A complaint may also be made against a person practicing optometry without a license. Usually complaints are sent to the Board by patients. However, complaints may also be sent by the general public if the complaint involves the practice of optometry without a license or advertising violations by licensed optometrists. Some complaints that a patient might have may not be a violation of the optometry laws. The Board cannot investigate these complaints. For example, a complaint that the doctor or the doctor’s staff was rude is usually not a violation of the law. In these types of complaints, the Optometry Board suggests that the patient visit with the optometrist, either in person or in writing, about their complaint. 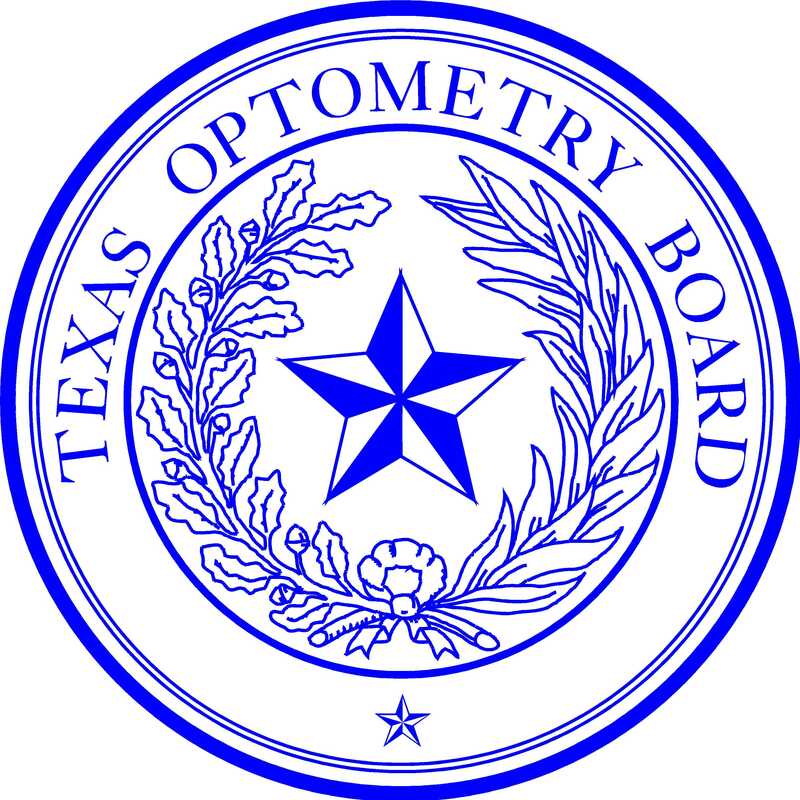 The Texas Optometry Board also does not have the legal authority to investigate disputes regarding the amount of money charged by the optometrist. The Better Business Bureau, Small Claims Court, or the Consumer Protection Division of the Office of the Attorney General may be the proper place for these complaints. The Optometry Board can investigate complaints concerning fraud or deceit by an optometrist. Look at the form on the website (and print it on your printer). telephoning the Health Professions Council (1-800-821-3205). You will be asked to leave a message with your name and address. After you receive the form, describe the complaint in detail on the form. The Board will need your signature on the complaint form and on the patient record release form, which allows the Board to obtain your patient records from the optometrist. Mail the completed form to the address on the form. complete description of what happened. A person making a complaint will be notified when the Board receives the complaint. The Executive Director, working with the Investigation-Enforcement Committee, will determine whether the complaint is within the legal authority of the Board. When the subject of the complaint is not within the legal authority of the Board, the person filing the complaint is notified that the complaint cannot be investigated. The optometrist may still be advised that a complaint has been received (for example, fee disputes and the doctor-patient relationship are not within the Optometry Board’s legal authority to investigate). Investigation. If the Optometry Board can investigate a complaint, the complaint is sent to the optometrist to obtain the doctor’s response. When a response is received from the doctor, the Board’s investigator and the Investigation-Enforcement Committee (this Committee includes licensed optometrists) determine what additional information is required to investigate the complaint. Once the investigation is completed, a determination is made as to whether the optometry laws have been violated. If the evidence does not show that a violation of the law occurred, the person filing the complaint is notified that the investigation has been closed. The Board may suggest alternatives available, such as Small Claims Court in matters of fee disputes. Violation of Law Found. If it appears that the optometrist did not obey the optometry laws, the Investigation-Enforcement Committee may take several actions: sending a letter of noncompliance, a letter of reprimand, holding an investigational hearing, and/or referring the matter for formal hearing. The Optometry Board may impose discipline, such as a letter of noncompliance, a formal reprimand, suspension, probation, or revocation, as well as administrative penalties. The optometrist has the legal right to dispute the charges of the Optometry Board, including the right to an administrative hearing or to file a lawsuit in District Court. If the investigation shows that the optometrist has violated the optometry laws, the Board may have authority to enter into an Agreed Order that may include the refund of examination fees. Complaints are logged and may be used as a basis for conducting investigations regarding compliance with laws regarding initial examinations by the optometrist. If an unlicensed individual or company appears to have violated the Optometry Act, the Board may issue a cease and desist order and/or the investigation may be referred to the Attorney General for appropriate action.